Outdoor Yoga Deck Classes This Summer! Click here for Outdoor Yoga Deck Classes. Private Yoga Sessions Available by Appointment. Contact me at lesliewintergordon@gmail.com or 860-970-4944. 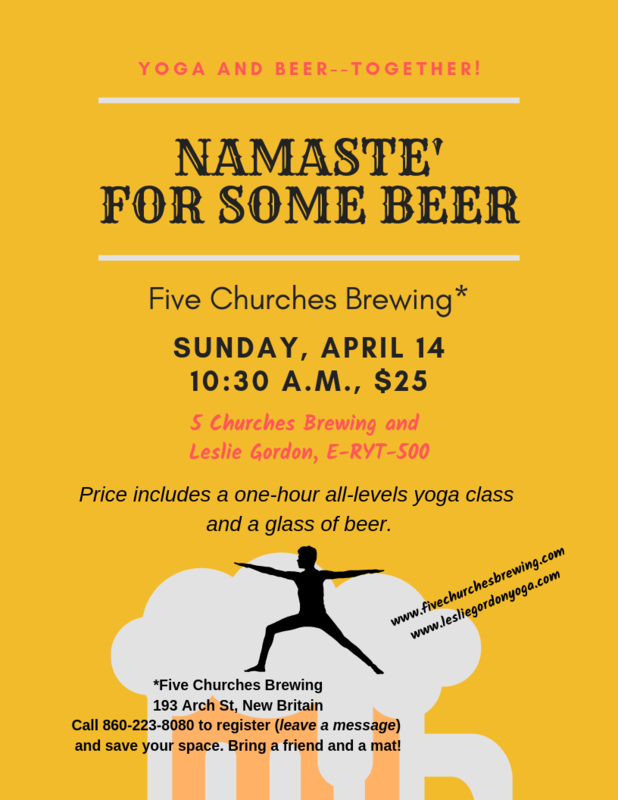 Price includes a one-hour, all levels yoga class and a glass of beer. Call 860-223-8080 to register. Bring a mat, bring a friend! New Class Offering at Torrington Chiropractic! This class is mostly non-vinyasa which means we move from posture to posture with longer holds. We have time to sink into postures, listen to our bodies and make adjustments and modifications to suit our individual and unique bodies. Special attention is given to alignment, safety and modifications for injury. Postures will vary depending on the theme of the class. This is a welcoming class for everyone, regardless of fitness level! Every class is different based on YOUR needs! Imagine your spine lengthening and your shoulders releasing, all without your doing a thing. Ah, this is the bliss of a Thai yoga practice. 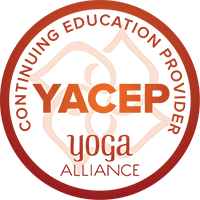 ThaiYoga can feel like a nurturing, effortless yoga practice in which your partner moves your body in and out of postures, enticing your muscles into gentle stretches and your mind into deep relaxation. This workshop offers the many benefits of ThaiYoga – open joints, stretched muscles and connective tissue, toned internal organs and an increase in vital energy. You and your partner will learn simple techniques that you will use to relax your head, shoulders, hands and feet! Come explore, play, laugh and learn. You will leave with a short series of Thai Yoga techniques to use at home. Dress in loose, comfortable clothing. Pre-registration is required, we need a minimum number of participants to run this workshop! These classes are mostly non-vinyasa which mean they move from posture to posture with longer holds. We have time to sink into postures, listen to our bodies and make adjustments and modifications to suit our individual and unique bodies. Special attention is given to alignment, safety and modifications for injury. Classes vary depending on the theme. A welcoming class for everyone. Every class is different based on YOUR needs! The benefits of yoga are not limited to those who can easily get up and down from the floor. Yoga is for Every Body, and in this class, the chair enables us to do many of the postures that are typically done on the floor with the aid of a chair. We will explore seated, standing and balancing poses, breath awareness, guided imagery and a variety of other yogic “tools” to help us stretch, strengthen and RELAX! This class is suitable for those new to yoga and all fitness levels. Chi Healing Center, 136 Dowd Avenue, Canton, CT 06019, 860-352-8902, www.chihealingcenter.com. First Church of Christ, Congregational, 1652, 75 Main Street, Farmington, CT 06032.